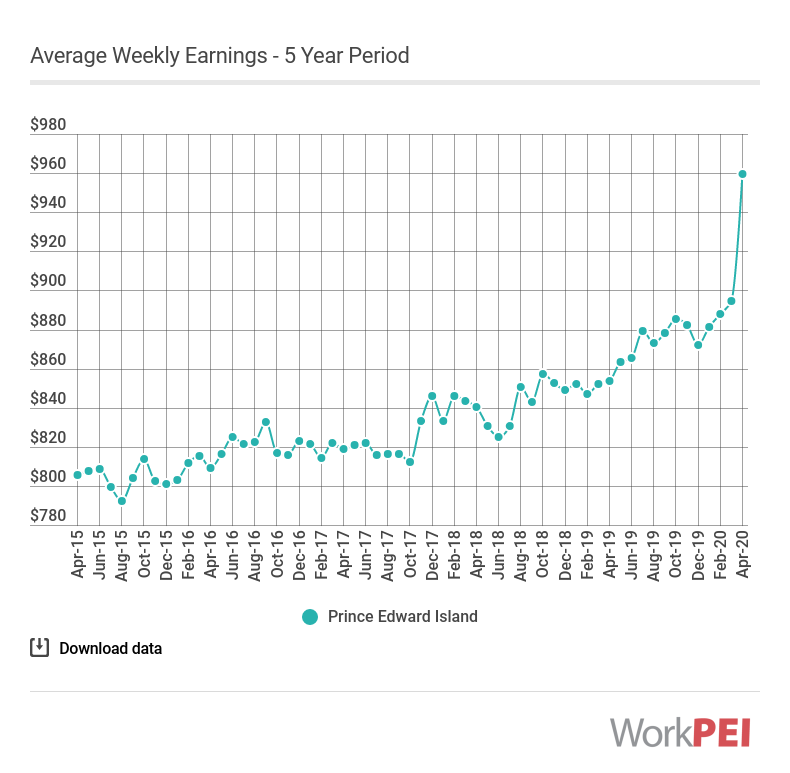 In January 2019, average weekly earnings in Prince Edward Island were $854.91, an increase of 2.6% in comparison to the same month one year ago. 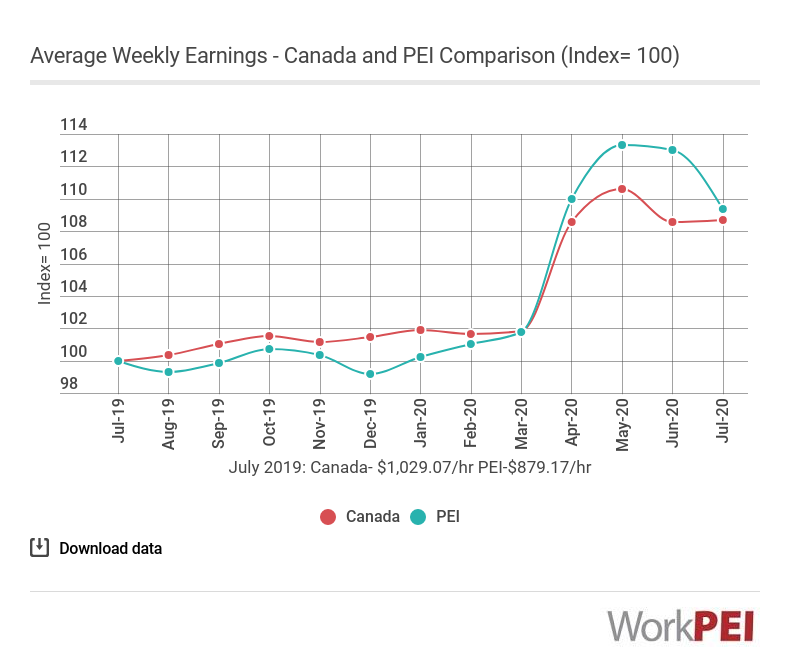 Nationally, average weekly earnings were $1,011.62 in January, an increase of 2.0% over the same period last year. Adapted from Statistics Canada, Table 14-10-0222-01 (Average Weekly Earnings). This does not constitute an endorsement by Statistics Canada of this product. 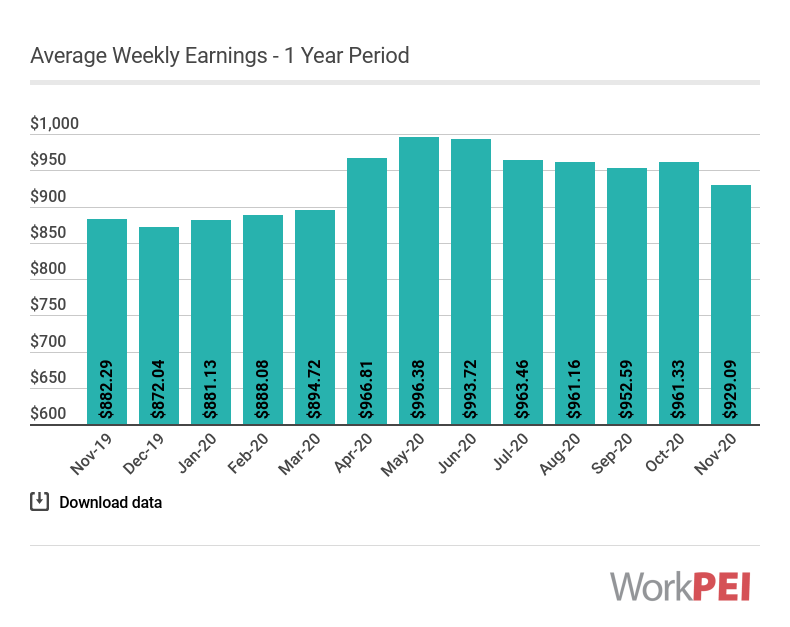 Average weekly earnings are derived by dividing total weekly earnings (including overtime earnings) by the number of employees. This data is compiled from the Survey of Employment, Payrolls and Hours which is a business census of non-farm payroll employees.